An intentional pursuit of God daily. A love for God’s family in gathered worship weekly. A commitment to consistent growth and accountability within a community of believers. A resolve to steward the gifts God has entrusted to me. Time spent annually seeing the gospel spread locally and globally. 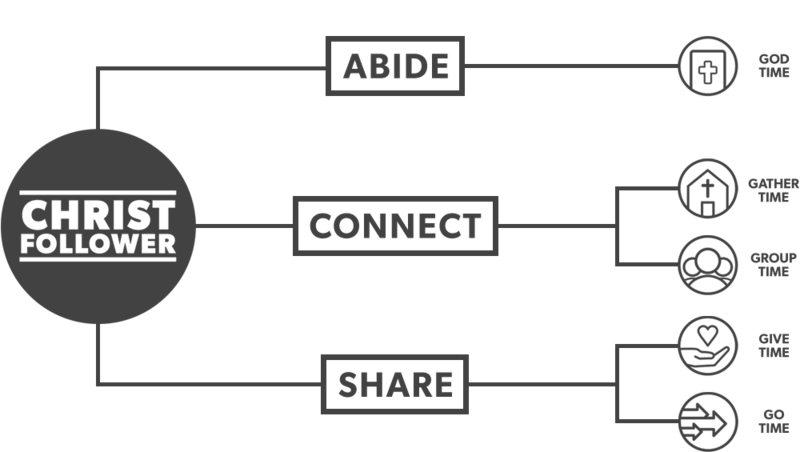 Download Week 1 “Abide” slides below. Download Week 2 “Connect” slides below. Download Week 3 “Share” slides below. Download Week 4 “God Time” slides below. Download Week 5 “Gather Time” slides below. Download Week 6 “Group Time” slides below. Download Week 7 “Give Time” slides below. Download Week 8 “Go Time” slides below.